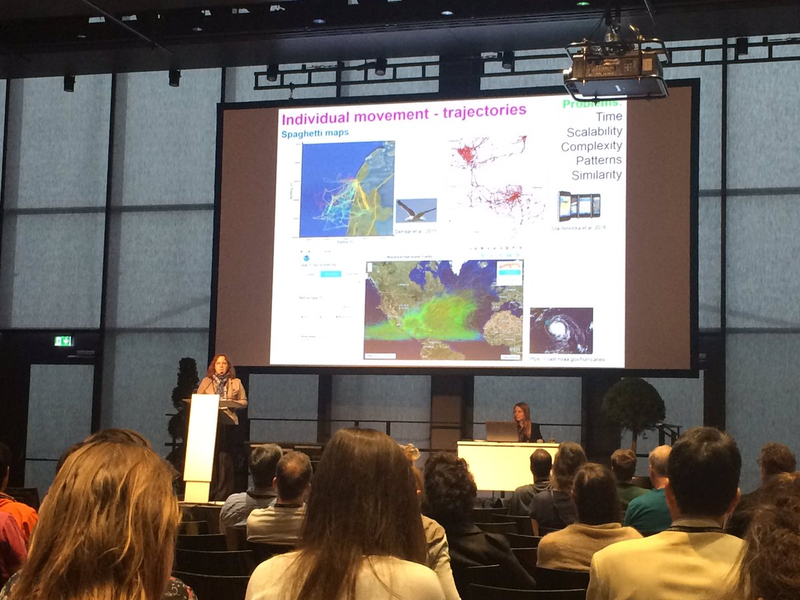 It’s been a month since I had a privilege to give a plenary talk at one of the best conferences I’ve ever attended, the 6th Bio-logging Symposium in Konstanz, organised by the Max-Planck Institute for Ornithology. I would like to sincerely thank the organisers for inviting me, as I had an amazing time. I am still reeling from all that I learnt during the conference, but I’ll leave the winner of the wittiest talk, Pritish Chakravarty, explain the impressions of an engineer among ecologists – he is doing it much better than I would be able to. My talk was on Visual Movement Analytics in a 3D space (which was very well received and also caused a bit of a twitterstorm). This was also one of the most tweeted conferences I ever attended, so check the #BLS6 hashtag for impressions and join the newly established Bio-logging Society, so that you don’t miss the seventh symposium in three years’ time. Thanks again to MPIO for an excellent conference! Photo from twitter, thanks to whoever took it. 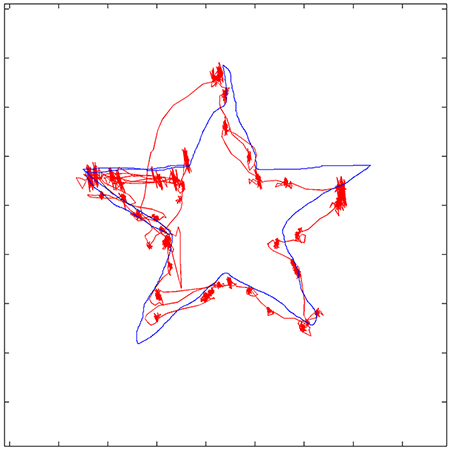 Quantifying gaze and mouse interactions on spatial visual interfaces with a new movement analytics methodology, PLoS ONE 12(8): e0181818. Is there a connection between the movement of the gaze and the movement of the mouse when you are using a spatial display on your computer screen? To answer this, we develop a new movement analytics methodology to quantify the level of interaction between the gaze movement and the movement of the mouse cursor on the screen. We evaluate the method on a data set from a bespoke experiment where we collect eye and mouse tracking data from participants tracing geometric forms on the screen. This work was supported by an international exchange grant from The Royal Society.